In greek mythology, Amphitrite was the wife of Poseidon. 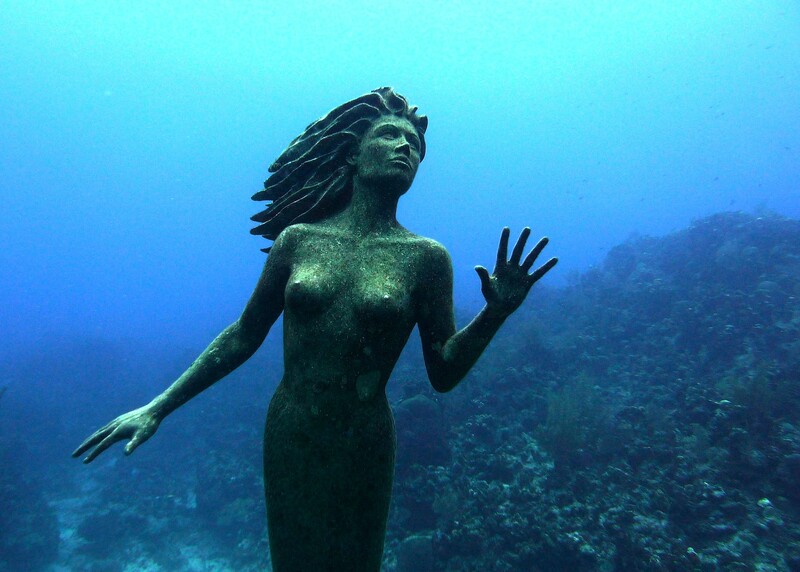 She was also considered the personification of the sea as a whole, and the mother of seals and dolphins. 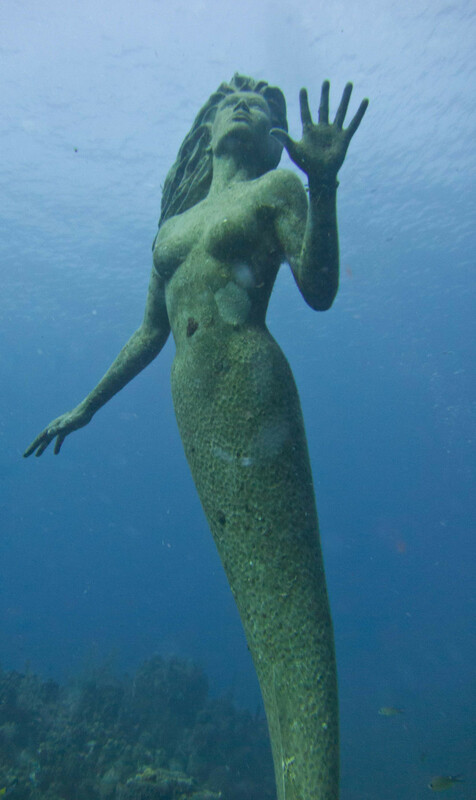 An identical mermaid statue named The Emerald Princess was placed in Powell River, British Columbia in March 1989. 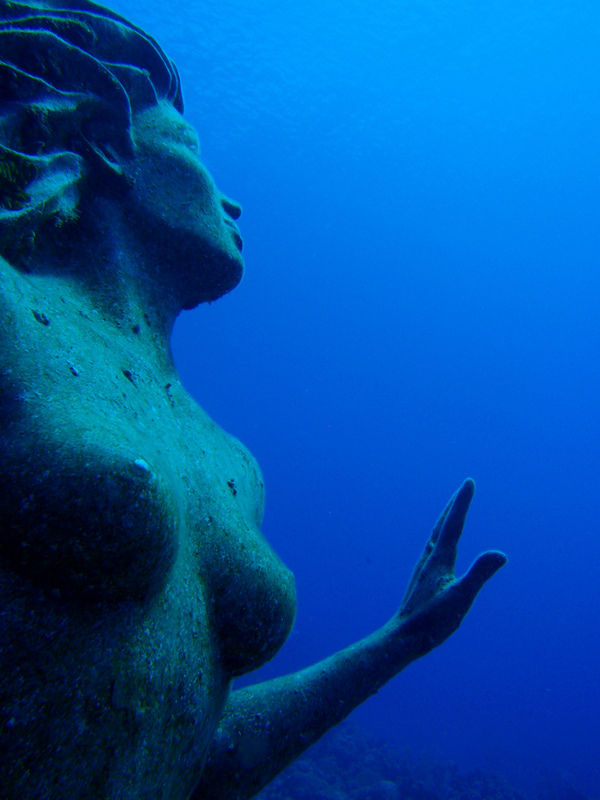 Both statues are visited by large numbers of divers each year. 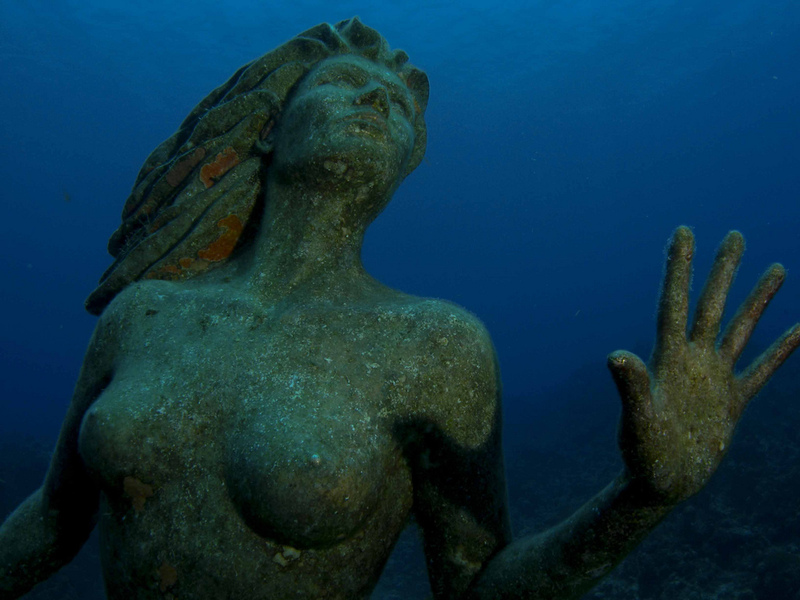 Amphitrite mermaid statue. Photo © by Eddy Wong. 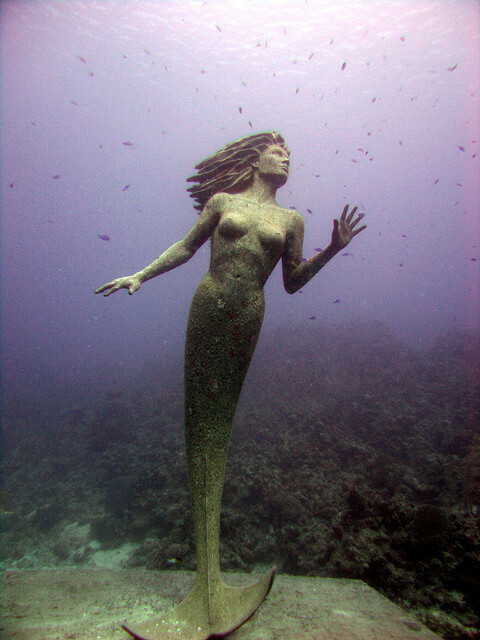 Amphitrite mermaid statue. Photo © by Gareth Arnatha.